Lead by SingEx Exhibitions, the Industry 4.0 Event is set to take its stage at Singapore EXPO slated for October 16 to 18, 2018. 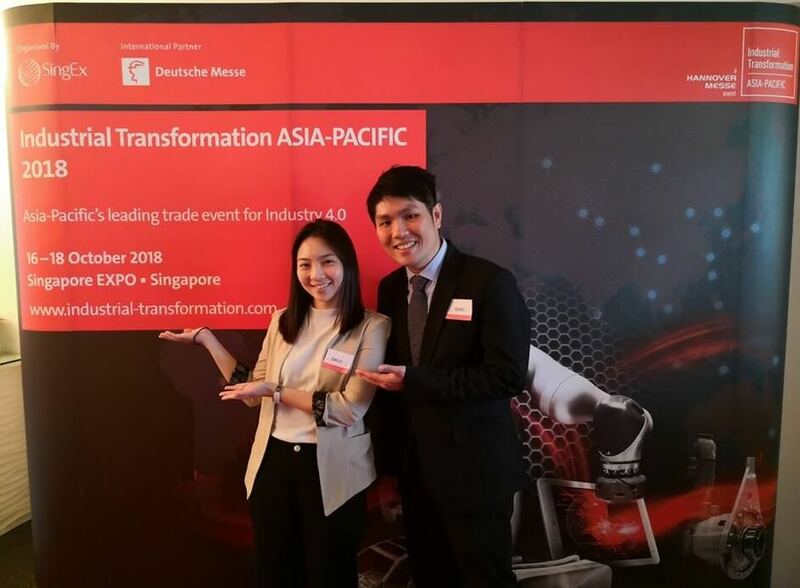 In partnership with Deutsche Messe, the event will serve as a trade platform for the 4th Industrial Revolution in Asia Pacific. The gathering is big enough that will accommodate more than 10,000 attendees from over 30 countries. Moreover, it will showcase solutions from more than 200 global industrial automation heavyweights, market leaders, and startups. The six major countries to participate include Singapore, Malaysia, India, Indonesia, Japan, and Germany. There is also a Hosted Buyer Programme, wherein qualified buyers will receive a reimbursable air ticket, up to two nights hotel accommodation, and at least 6 pre-scheduled meetings with exhibitors to name a few, To be qualified, you must be in charge of planning or making purchase decisions to source for applications of industry 4.0, preferably director and higher. You must belong to these industries - aerospace, automotive, chemical, infrastructure & facilities, logistic & supply chain management, oil & gas, energy, food & beverage, electrical & electronics, pharmaceutical & biotechnology, urban solutions, and semiconductor. If you are interested in this program, you can contact Emily at +65-6403-2105 or via email at emily@singex.com to know if you are qualified. In addition, the conference will feature over 100 Industry 4.0 leaders from 15 economies such as Phil Smith, Chairman of Innovate UK; Samuel Garcia, Procter and Gamble’s Vice President for Global Consumer Product Supply; Alpesh Patel, Director of McKinsey and Company’s Digital Capability Center, and Max Ward, Chief Executive Officer of Openport and Board Member of the Open Enterprise Logistics Foundation. For more information, visit http://industrial-transformation.com/.